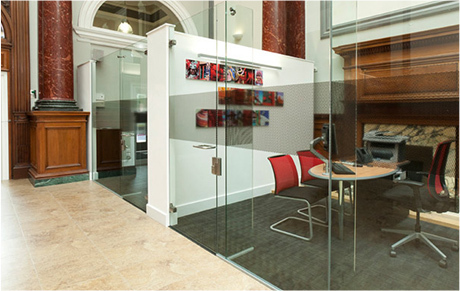 Designed for the modern environment allowing light to fill every office, while providing the feeling of space. 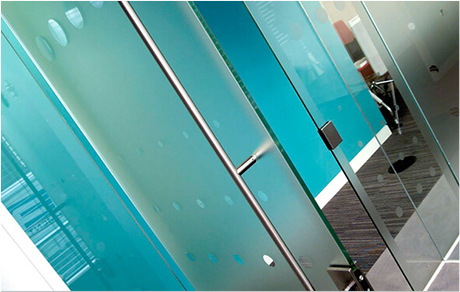 Glass provides an office divide that allows unhindered vision whilst maintaining the privacy of individual offices. Single or double glazing is available for applications where acoustic performance is paramount. Choices of manifestation are available along with corporate logos and clients own designs to give that 'wow factor'.